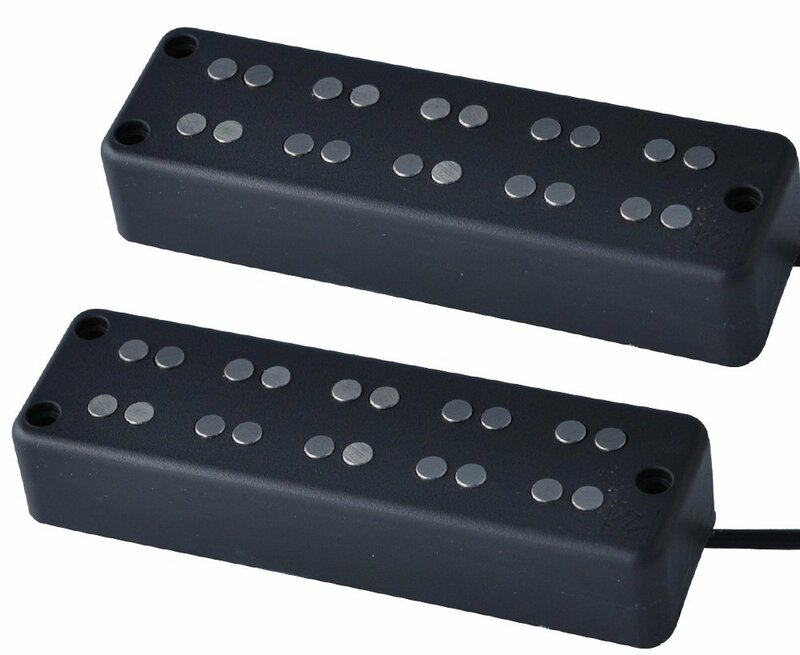 This Nordstrand DC5 Parallel Pickup Set is a modern design dual coil humbucking pickup. Pickups like these are usually found on very high end basses. They use Alnico V magnets and the traditional bi-pole layout with two poles per string. It’s almost like two Jazz Bass® stlye pickups in one cover. These pickups will typically have more highs and a deeper low end with a cleaner midrange. The Nordstrand DC5 parallel pickups are generally a better choice for a split-able installation, as there will not be the gain loss associated with series pickups.